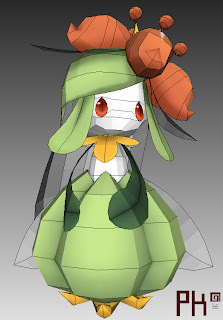 This pokemon papercraft is the Lilligant, created by Kimi. Lilligant is a Grass-type Pokémon. She evolves from Petilil when exposed to a Sun Stone.